Over 50,000 Las Vegas customers, on over 100,000 jobs done on site, have chosen us to protect their cars and resolve their car locks, keys and remotes security issues. Our automotive locks and keys are from the best brands such as: Ilco, Strattec, Jet, JMA, Keyline, Blue Rocket. 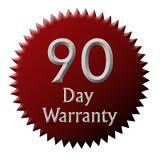 All of our products and services come with a 90 day warranty. Las Vegas Automotive Locksmith offers a 90 day money back, satisfaction guarantee that covers all of our parts and labor provided within 90 days, if anything goes wrong we will make it right or refund all of your Money. Our products and parts are warranted by manufacture and supplier we working with many years. You will get quality and friendly service. We offer a 90 day warranty on all labor performed. Should any problems arise as a result of our labor, we will correct the problem at no cost. Call back is our first priorities. We wanted to let you know that we offer the best automotive locksmith services and we cost less then the other guys, with us you get one on one attention, you are, as our customer really important to us because we couldn't be in business without you. We have a lot to offer you.Our technicians are kind, polite and reliable as well as our receptionists that will dispatch the nearest technician to you in an emergency situation. All of our vehicles are equipped with the latest auto locksmith tools and equipment, we are using the best quality programming transponder keys machines and key cutting machines. we can pick any lock and we will bit any price. 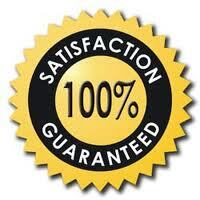 High quality and 100% customer satisfaction are our first priorities. In addition to providing standard car locksmiths and car unlock services like car keys made, transponder keys or car locks repair, we offers a number of specialized services and products for individual and businesses to ensure the safety and security of your car with a security audit; car locks re key services, installing switch killer or delete an old or stolen chip key.